Michelle and GrowHouse co-founder, Shanna attended Spelman College together where they became best of friends. 25 years and multiple children later, their friendship has deepened through Michelle's involvement with GrowHouse NYC. 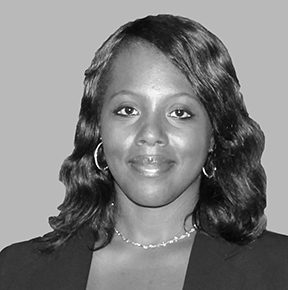 A razor sharp intellect and strong work ethic allowed Michelle to be accepted for post-graduate studies at John's Hopkins University, first pursuing a dual MD/PHD degree at The Bloomberg School of Public Health in 2002 earning her doctorate in clinical epidemiology. She is board certified in ophthalmology and was previously an Assistant Professor in the Department of Ophthalmology at the Johns Hopkins University School of Medicine in the Division of Ocular Immunology. She joined the Food and Drug Administration in 2009 where she works on ensuring that ophthalmic devices are safe and effective before entering the US marketplace. She is actively involved in research on ophthalmic devices and efforts aimed at incorporating the patient’s voice in the evaluation of medical devices. She has received numerous awards for her research efforts from the FDA and the American Academy of Ophthalmology. She continues to see uveitis patients through her privileges at The Johns Hopkins Wilmer Eye Clinic and Solomon Eye Associates. In her free time, she actively works with foster children, ministers at her church through song, and attends the many sporting activities of her two children.